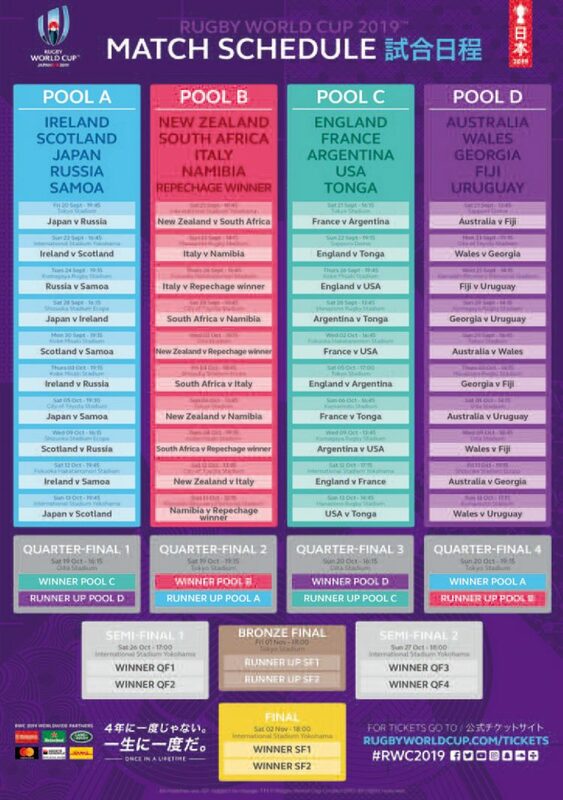 According to the Organising Committee of the 2019 RWC, arrangements for the competition are well in hand. With less than a year to go before the much anticipated 2019 Rugby World Cup kicks off, Zoom Japan checked how things are progressing with Nicholas van Santen, International Communications Manager on the RWC 2019 Organising Committee. Nicholas van Santen: Things are going according to plan and in some cases we are even ahead of schedule, particularly as far as ticket sales are concerned. We have a total of 1.8 million tickets to sell (the same as England 2015), but demand has been overwhelming. In the end, I think we’re going to sell 600,000 tickets to foreign fans and 1.2 million tickets to domestic fans i.e. 1% of the Japanese population. In this respect, we’re confident we will fill every seat in every stadium. Apart from that, we already have 12 stadiums and 52 team camps ready and a very strong and active sponsor programme. For our “Team No-Side” volunteer programme, we were looking for 10,000 volunteers, but through our links with rugby clubs and our collaboration with Tokyo 2020, we actually got 38,000 applications from across all the host cities. That said, we don’t want to be too complacent because you never know what’s going to happen, and we want to be ready to tackle any possible issue. How does your collaboration with Tokyo 2020 work? N. v. S.: The two organisations have agreed to exchange knowledge and resources in order to maximize profits for their respective sporting events – two of the world’s biggest – being hosted in Japan over the next three years. We’re sharing our experiences regarding transport infrastructure, venue management and volunteer programmes. Is the Organising Committee worried about this huge influx of sport fans? N. v. S.: You’ve raised a good point. First of all, let me say that we’re delighted that so many foreign fans are visiting all these places around Japan – not just the traditional tourist spots of the so-called Golden Triangle (Tokyo, Kyoto and Osaka). Most importantly, RWC 2019 is attracting tourists from countries that are underrepresented in the Japanese tourism market – Ireland, France, the UK, New Zealand, etc. – who most probably will be visiting Japan for the first time. However, as you said, there are some places which are not used to handling this big influx of foreign tourists, but we’re working very closely with the 12 host cities, and they’re definitely looking forward to getting the best economic impact out of this event, not just in terms of the six weeks of the tournament. So I’d say this is a challenge we can definitely overcome. Some time ago, I read there were problems selecting the training camps. What is the situation now? N. v. S.: Yes, all the rugby grounds, gyms and swimming pools are already in place. It was really a matter of finding the right balance between the quality of the available facilities and their distance from the venues where the actual matches will be played. We also tried not to impose too much of a financial burden on these cities in terms of bringing them up to World Cup standards. In the end, choosing the preoRGanisation tournament training camps is the responsibility of the teams themselves. Some of them have decided to come to Japan early and base themselves in whichever location they choose in order to acclimatise and get used to the weather, the food, etc. England, Scotland and Wales, for example, will be all based in Kyushu. 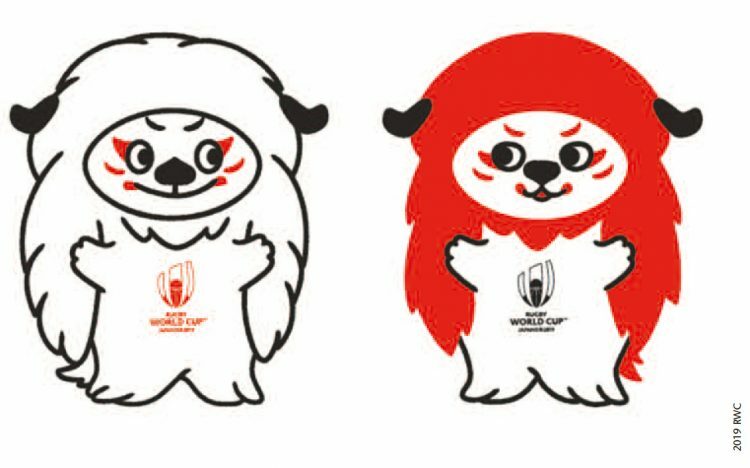 Why do you think Japan was awarded the 2019 Rugby World Cup? N. v. S.: I think World Rugby saw an opportunity to go outside and beyond the traditional rugby strongholds in Europe and the Southern Hemisphere and engage the potentially huge Asian market. What better entry point than Japan, a country with a long and strong rugby history. We have the Asia One Million Project, which is part of the Impact Beyond programme, and we’ve reached 900,000 young people who’ve been given a chance to get a taste of rugby by playing through such activities as tag rugby, rugby clinics, etc. Can you tell me a little bit more about the Impact Beyond programme? What is it exactly? N. v. S.: Impact Beyond was launched in 2013 as a major strategy in World Rugby’s mission to spread the game globally, providing the platform for women and men of any age to be introduced to the game. Creating a sustainable legacy is a central pillar in World Rugby’s major event planning, and the Impact Beyond programme is playing a leading role in rugby’s global growth story. To date, just in Japan, we’ve had more than 230,000 new rugby participants in Get into Rugby programmes across the country. Also, tag rugby was included in the physical education curriculum of 1,982 schools in the RWC host cities. Additionally, a total of 9,603 tag teachers were awarded licences after completing their training and now have the skills to lead tag rugby sessions. As I said, inspiring interest in rugby across Asia was one of the core reasons for bringing the RWC to Japan, and the Impact Beyond programme is right at the heart of Rugby World Cup 2019. Asia is not only the world’s most populous and youthful continent; a recently published Nielsen report found there were more rugby fans in Asia – 112 million – than any other continent, with China (33 million), India (25 million) and Japan (14 million) all ranking within the top 10 nations globally. The RWC 2019 Trophy Tour recently visited India, China, Hong Kong and the Philippines. In India alone, the Webb Ellis Cup was greeted enthusiastically by more than 18,000 young people across Delhi, Mumbai and Bhubaneswar. You already mentioned the “Team No-Side” volunteer programme. How do you plan to develop this programme and what are your goals? N. v. S.: As I said, this is a huge undertaking. We’re now going to each host city doing interviews in order to find the best possible volunteers among the applicants. Eventually, the volunteers will be spread throughout the tournament in various roles such as giving information, engaging the fans and solving any problem they may have regarding transport, meet and greet, accreditation, way-finding and fan-zones. Most importantly, they’ll be acting as ambassadors for Japan to ensure fans have a wonderful and trouble-free experience. They’re going to be the faces of the tournament, showcasing rugby’s values and Japan’s hospitality. What do you think are some of the major problems for this army of volunteers? N. v. S.: Language is probably the major issue we’re looking into. We have to make sure the volunteers have the language capabilities to help the fans. Actually, I have the impression that English-speaking skills are increasing in Japan, and I think that once the volunteers become more confident in their skills there’ll be no problems.